Here you will find many Phineas and Ferb movies and video's you can watch online! 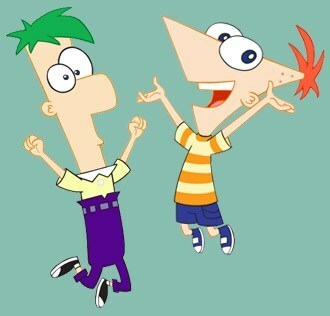 Click on the link to watch the Phineas and Ferb video. When Phineas, Ferb, and Perry follow Dr. Doofenshmirtz through his "Otherdimensionator", they find themselves in an alternate universe where a second, truly evil Dr. Doof rules over his Tri-state Area with an army of iron-fisted robots. Phineas & Ferb - Lights, Candace, Action!